The Royal Exchange Theatre has been bringing the world’s most powerful stories to life for almost 40 years. As a registered charity, we rely on the generous support of individuals, businesses and charitable trusts to make a difference to our work. If you love what we do, why not get involved? Charitable trusts and foundations play a crucial role at the Royal Exchange Theatre, supporting us in all aspects of our work - from helping us maintain the iconic Royal Exchange building, to nurturing new talent and developing innovative programmes that connect local people with theatre and theatre-making. Help create breathtaking theatre for everyone.  Members events are an opportunity to get closer to our work, to hear from actors and creatives working on our productions and get behind the scenes at the Royal Exchange Theatre. Since September 2012 The John Thaw Foundation has supported the Royal Exchange Theatre's youth work enabling us to offer creative bursaries to 12 young people.